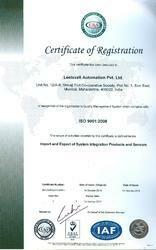 Leelavati Automation Private Limited is originated in the year 1990. We are engaged in supplying, importing, exporting, providing service and distributors of a wide range of Automation Products. Our comprehensive range of products consists of Carlo Gavazzi Products, AKE Electronic, Array, Elko Ep, EMX –USA, Takex, Pan-Globe, Delcon, Gill Sensors, Texelco and Flow Meters. Our products are procured from the reliable vendors in the market who use best quality materials for manufacturing these products. They are available in various specifications and can be customized as per the requirements of the clients. These products are used in various industrial applications. We captured market for our products in various places like Bangalore, Chennai, Hyderabad, Coimbatore, Mumbai, Pune, Goa and Gujarat (Vadodara). Under the supervision of our director, Mr. Manoj Tembe, we achieved strong foothold in the market for our products. We captured name and fame for ourselves under the inspiration and support of our mentor. Leelavati Automation Pvt. Ltd. has been awarded Credit Rating SME 4 for its Credit worthiness. We at Leelavati Automation Pvt Ltd follow the Japanese concept of just in time. because of which our products are packed and delivered through our trusted logistics partners as and when required at the customers end. our timely delivery is one of the major factor of the longing trust that we managed to build all these years. 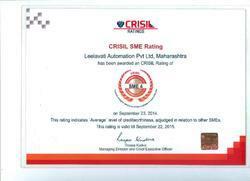 Leelavati Automation Pvt. Ltd. scope of activities are recognized by ISO 9001:2008 standards. We are associated ourselves with the trusted vendors in the market. Our vendors use best quality materials for manufacturing these products. These vendors are selected based on their past client database, financial status, popularity in the industry etc. We have a expert team to select the vendors. Our professionals also check for the quality standards followed by these vendors and their compliance to stringent delivery timelines as well.